Co-Optimus - News - Get amped for Hellraid with a new "Interactive Trailer"
Don't search the chest. DON'T SEARCH THE CHEST. Hellraid is going to finally answer everyone's prayers and provide a co-op experience with Elder Scrolls-like gameplay when it releases later this year. 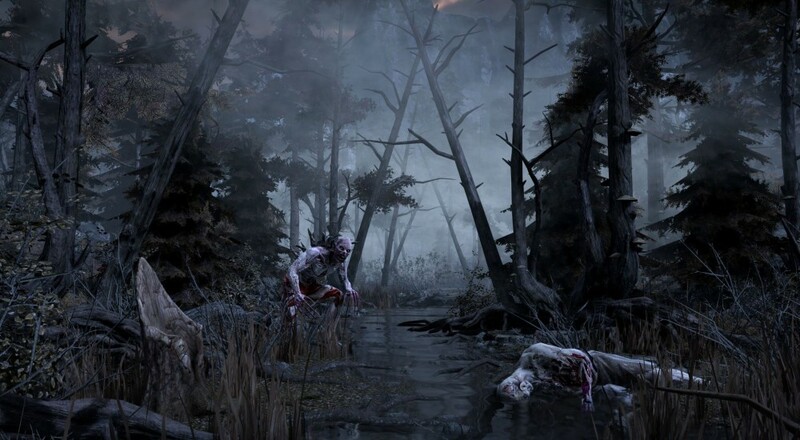 Techland wants to go ahead and pump up the crowd with a fancy interactive trailer! Titled "Edyn's Escape," the trailer plays like a visually rendered Zork and details some of the locations, items, and baddies you'll interact with in the release version of Hellraid. While terming it an "interactive trailer" is a bit of a stretch it is always fun to see a company try something new in their advertising. I'll go ahead and pull the curtain back for you. The "decisions" are really just links to other Youtube videos demonstrating the results of your choice. It's hardly a costly advertising campaign, but it does demonstrate various gameplay elements such as melee combat and sorcery while giving the player some agency in the direction of the action. It doesn't show any co-op gameplay, but at least we get to see it in action. The setting and monster design really impress, which nearly makes up for the trailer wanting you to start over every time Edyn explodes. I also have no idea why they stressed the events of the trailer taking place two weeks before the main game. The trailer's story is merely Edyn chugging potions and arbitrarily dying to zombies because he took a left turn. You do receive a "reward" upon completing the mission, however, so that's a neat little bonus. Page created in 0.3793 seconds.